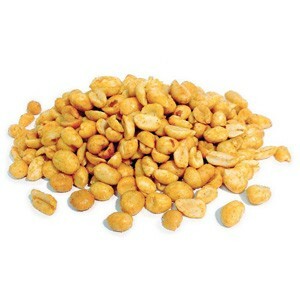 We're Nuts for You in Texas Snack Mix -- yup we are nuts for you that is! This clever label says it all! We're glad you're here in Texas; we're glad you're planning to come to Texas! We're even happier to share our pride in the Lone Star State with you wherever you are!! The jalapeno dusted peanuts in this popular Texas Snack Mix give it just a hint of heat but the toasted corn mini pretzels and cheddar crackers are combined together offset the heat and make you just plain ol' want more! Too many pretzels in a supposedly bag of NUTS. Disadvantages: Not enough nuts and they were a little spicy which I did not realize that they were going to be hot.